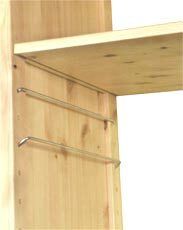 SHELFSTORE’s pine shelves including corner shelving units, CD and DVD shelving provide an infinite array of permutations and combinations help you to make the most of your living space. Our shelving units combine practical storage with a modern style. Why not let us help you to realise the ideal home organisation solution for you. If you are looking for office shelving for your important files, general home shelving for all your nick-knacks, paperbacks, and treasured family photos and memorabilia, or convenient living room shelving for storing your prised CDs, and DVDs, then you can be sure that we have can assemble your shelving unit in minutes.